What if I told you it's high time to ditch the liquid eyeliner pens and applicators you've been using since time began and replace them with a quill instead? 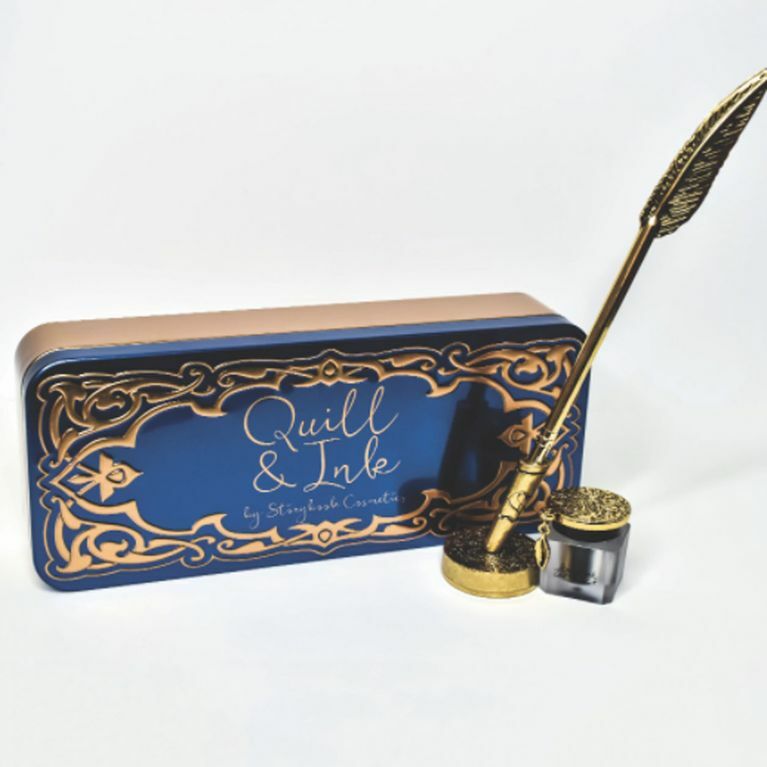 No, I've not had too much caffeine, I'm serious here - a real-life Harry Potter-themed quill and ink liquid eyeliner now exists and it's all your magical make-up dreams come true. Liquid eyeliner, also known as the ultimate make-up nemesis, can completely make or break your look. If done right, it can make your peepers pop, opening them up, emphasising their hue and drawing in everyone you meet. Get it (often spectacularly) wrong and you end up looking like a dodgy Amy Winehouse tribute act. But getting your flicks on fleek is much less of a challenge when you've got yourself the appropriate tricks of the trade and they don't come much better than a Harry Potter-themed quill. Yes you read that right, you can now take your beauty routine back in time and perfect your cat flicks with precision using an actual quill, thanks to this pretty set that's transformed our relationship with liquid eyeliner forever. The cute kit is by Storybook Cosmetics, who also bought us the equally magical Harry Potter make up brushes, and contains a custom-made, gold metal, feather quill complete with a hollow brush stand to protect the precision point liquid eyeliner brush. The matte black eyeliner is waterproof too so it's got you covered when you drunk cry because you don't make it to the kebab shop before it closes. We're obsessed with how the ink pot is engraved with gold Storybook logo details and a tiny feather charm, meaning it's an Instagrammable addition to your getting-ready station. The set comes wrapped up in a royal blue tin carrying case. Oh, and the eyeliner is vegan, cruelty-free and gluten-free too so you can curate your cats' eyes with a conscious. It will set you back just over £30, which, granted is a little more than we'd usually spend on an eyeliner, but I reckon that's a small price to pay to look sophisticated AF while your line your lids with an actual quill.